Thomas Wardle was the son of Joshua Wardle a noted silk dyer in Macclesfield and was born in 1831. His many achievements were the result of extraordinary energy, creativity and enthusiasm. He took on many challenges and gained expertise in a number of specialised areas. Thomas developed a lifelong passion for silk and colour and devoted his life to the silk industry. His prolonged research into the wild silks and dye stuffs of India helped to overcome huge problems and increased the use of the raw materials throughout India and Europe. His learned publications allowed others to benefit from his findings. Thomas received many honours as a result, including a knighthood. He was granted a Fellowship of the Royal Society of Chemists for this work and a Fellowship of the Geological Society for his scholarly study of local geology He became a leading figure in the Arts and Crafts Movement and exhibited his products regularly in major exhibitions worldwide, winning many awards. Wardle’s skills and integrity attracted Britain’s leading designers, who trusted him with their ideas on paper, which he turned into beautiful fabrics. Thomas understood the importance of good design education; he was an examiner nationally and spoke regularly to artisans in leading art schools across the country and to manufacturers in the industry. His work took him on travels to textile regions in France, Italy, Germany, Switzerland and India, where he made life-long friends. He fought for the British silk industry all his life and attempted to revive it during times of great crisis. He was a founder member of the national Silk Association from 1887 and was repeatedly elected as its Chair until his death. His wife Elizabeth shared many of his interests and their joint ventures produced fine textiles, which were highly regarded. Wardle was involved with many other concerns outside textiles, including music, art, and sports and pursued all of these in depth throughout his long working life. 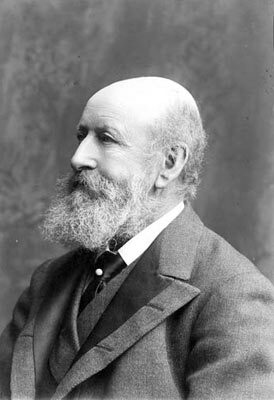 Sir Thomas died in 1909 at the age of 78.